The website reports that the owner came home from a drive and parked the car in their garage, only to discover the fire alarm going off a few moments later. The fire was described as "intense," and firefighters also had to remove a Lexus from the garage. No one appears to have been injured in the blaze. 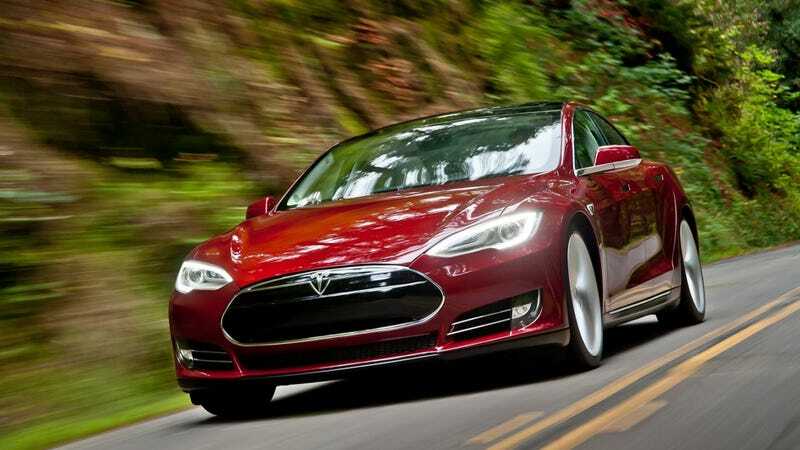 "The Model S continues to have the best safety track record of any vehicle in the world," Tesla said in a statement. "In this particular case, we don't yet know the precise cause, but have definitively determined that it did not originate in the battery, the charging system, the adapter or the electrical receptacle, as these components were untouched by the fire." Business Insider also reports Tesla offered to pay for any damages caused by the fire, but the homeowner declined. After last year's spate of fires in the U.S., the National Highway Traffic Safety Administration announced they would investigate the Model S; CEO Elon Musk said last month he did not know when federal investigators would conclude their investigation.